VIERA, Florida - Starting today, the Brevard County Public School District is in the process of reviewing possible changes to its robocall policy following a Brevard Times investigation into BPS's use of the auto-messaging system known as Blackboard Connect. Recent changes made by the Federal Communications Commission to the Telephone Consumer Protection Act (TCPA) may have had sweeping repercussions as to how school districts can conduct their robocalls and automated texts to parents with cell phones. In 2012, the Federal Communications Commission (FCC) adopted an order that went into effect on October 16, 2013 which requires that, with the exception of emergencies, recipients of robocalls must give prior express consent to receive auto-dialed or pre-recorded calls to their cell phones. Automated text messages and short message service (SMS) are also included under this regulation. The changes to the regulations prompted private lawsuits under the TCPA against Blackboard, Inc., a company which provides mass communication technology primarily to educational organizations. As a result of the lawsuits, Blackboard petitioned the FCC in February 2015 for a declaratory ruling to consider all communications made by educational organizations as "emergency" communications, thereby exempting educational institutions from the express consent requirement. "There is no question that “school and university notifications” or messages regarding “school closings” are “purely informational messages” and are considered “non-telemarketing calls,” Blackboard argued in its petition. "The calls are not “intended to offer property, goods, or services for sale either during the call, or in the future,” and thus do not qualify as an advertisement or solicitation under the TCPA or the Commission’s rules. Only those messages with an educational purpose (as determined by the school) are transmitted to the wireless telephone number provided, and the school does not use the wireless telephone number to transmit messages for any other non-educational or telemarketing purpose." Despite Blackboard's petition, the FCC did not make an exception for schools in a July 2015 TCPA Omnibus Declaratory Ruling and Order which addressed several other similar TCPA petitions at one time. "... The order does not address a number of situations raised in the record; for example, immunization reminders, utility outage notifications, emergency alerts from schools, and countless other categories," wrote FCC Commissioner Michael O'Rielly in his partial dissent. "Some of these uses could be addressed in a future item, and could eventually be deemed permissible. However, that does not provide much needed certainty or reduce litigation exposure in the meantime." The TCPA provides for a private right of action for persons who receive robocalls and robotexts in the amount of $500 per TCPA violation. That amount may increase to $1,500 per violation if the defendant knowingly or willingly violated the TCPA. All non-emergency robocalls, both telemarketing and informational, require a consumer's permission to be made to a wireless phone. These calls can include political, polling, and other non-telemarketing robocalls. Robocalls either use a technology with the capacity to autodial or utilize a pre-recorded or artificial voice. Calls and text messages have the same protection under FCC rules. Consumers can take back their permission to be called or texted in any reasonable way. A calling company cannot require someone to fill out a form and mail it in as the only way to revoke consent. An existing commercial relationship does not constitute permission to be robocalled or texted. Consent to be called or texted cannot be a condition of a sale or other commercial transaction. Callers are allowed to call a wrong number only once before updating their list. This most commonly comes up when one person consented to be called or texted but then they gave up that number and it was reassigned to someone else. Callers have resources available to them to help them know ahead of time if a number's "owner" has changed. Urgent calls or texts specifically for health or fraud alerts may be allowed without prior consent. They must be free, and consumers can say "stop" at any time. 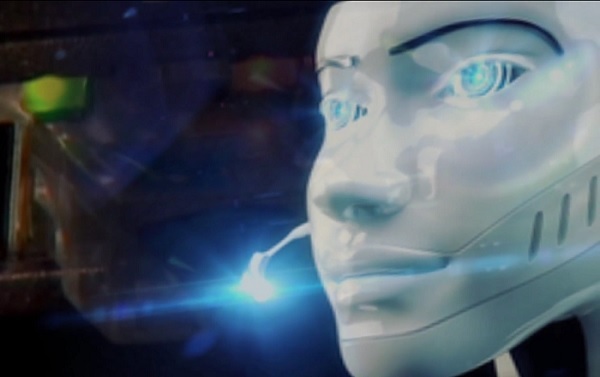 Robocalls made by Brevard County Public Schools generated controversy last fall when BPS decided to use its automated system in a political campaign to promote passage of the half-cent sales tax referendum. The issue became so heated via emails and social media that it was a topic on the September 30, 2014 WMMB conservative radio talk show, BILL MICK LIVE, where BPS Director of Communications, Michelle Irwin, called into the show to defend BPS's use of robocalls. Although the BPS administration repeatedly expressed during the Summer of 2014 that its financial situation was so dire that schools would close if the sales tax did not pass, BPS developed a need (and found the funds) to replace its original automated phone system with a Blackboard Connect automated system in July 2014. BPS was able to save money on the contract by bundling it with other existing service contracts that it already had with Blackboard. "Different from the Synrevoice system we have been using for years, Connect leverages external telecommunications networks to deliver not only recorded phone messages, but also emails, SMS text alerts, and social media updates (Facebook, Twitter)," BPS staff wrote in the agenda item. "The capacity of Connect to deliver tens of thousands of messages in a short period of time is immensely greater than our current capacity which is largely reliant on 46 voice channels (phone lines) that we lease from a local provider." BPS then used Blackboard Connect's larger message capacity to support its half-cent sales tax campaign by sending out 88,000 email, phone, and text messages through its parent rapid notification system for district-wide campaigns on six different occasions from September 26, 2014 through October 30, 2014. A seventh campaign was carried out by individual schools through Blackboard Connect on November 3, 2014. But BPS wasn't the only Blackboard Connect customer which used the automated service for a successful political campaign regarding school tax referendums in 2014. Eden Prairie Schools and West St. Paul-Mendota Heights-Eagan Area Schools were two more school districts, in addition to BPS, who won the National School Public Relations Association Gold Medallion Award for their campaigns in the Bond/Finance category. Another controversial use by BPS of its automated notification system is the promotion of events with its business partners where goods or services are sold to parents as a fundraiser for schools such as "McTeacher night." Contrary to the assertions made by Blackboard in its petition that only "messages with an educational purpose ... are transmitted," these messages appear to be more like commercial telemarketing campaigns where BPS receives money from private businesses to use its school status to make robocalls which market products and services. "BPS was not aware of the FCC rule changes, and Blackboard did not inform us when we contracted with them back in July 2014, that we would be required to obtain express consent from parents to send non-emergency automated messages and texts to cell phones," Irwin told Brevard Times. "The school registration form only has a line for parents to enter a "primary contact" number which does not tell us whether it is a cell phone or land line. Parents have the option to add their cell phone number and we believed that through their active inclusion of this number we had permission to notify them of non-emergency, but education related issues." "BPS Superintendent Dr. Desmond Blackburn, BPS Attorney Harold Blistline, and I are now in the process of reviewing policies for recommended changes to BPS's auto-messaging system. BPS will develop procedures to obtain parents' express consent for other types of informational calls during next year's registration. Parents want this kind of information about their child's school activities."